There’s more to learning how to drive than just reading the DMV handbook. At Varsity Driving Academy, we help teach students from Brethren Christian Junior/Senior High School more than just the handbook. We work to make sure students have a stress free experience so that everything taught can be remembered. See how Varsity Driving Academy works to make your learning experience the best possible below. Then, sign up for your courses and get started today. Welcome to Varsity Driving Academy Brethren Christian Junior/Senior High School! Our free pick up and drop off service is one way we help students from Brethren Christian Junior/Senior High School learn how to drive. Online learning gives us the chance to make our own schedules and keep our lives on track. Students at Brethren Christian Junior/Senior High School need to get their general education, participate in extracurricular activities and a have social life. All of the above means it could be hard to fit learning how to drive into their schedules. Luckily, Varsity Driving Academy has the answer. Online learning with VDA gives you access to top rated driving lessons from just about anywhere. What we allow is for students to make their own schedules and learn only when they have free time. Behind the wheel training is when we put the lessons learned online or in the classroom to work. Actually getting behind the wheel will help students realize why the rules exist. During this process, we will make sure students are as safe as possible. Our vehicles are hand picked to ensure that safety is intact. We also prefer to have one student in the vehicle at a time. If a student feels confident and in a judgment-free environment, they will be more likely to ask questions and get clarifications. Our trainers all have years of experience not only driving but teaching as well. Every student will get a grade-a experience when they first sit behind the wheel and will have the opportunity to have the best driving tactics around. 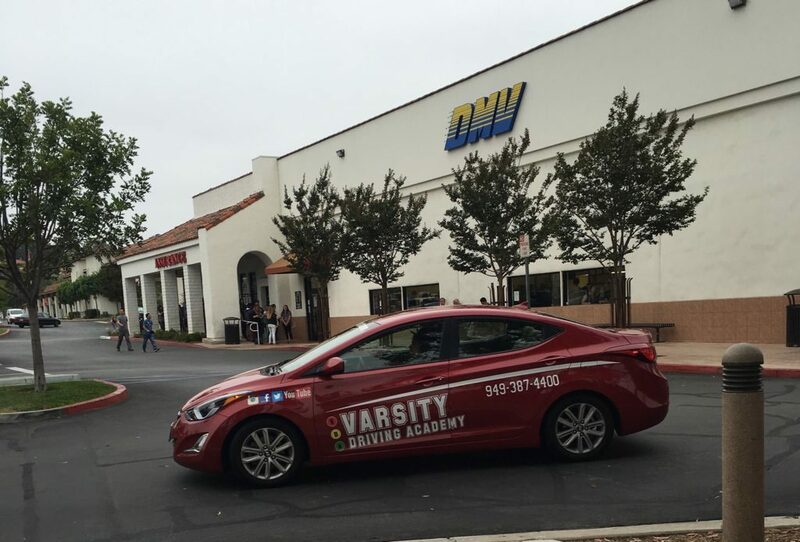 Everything we do at Varsity Driving Academy is meant to better the learning experience and teach safe practices. One of the best examples of our methods can be seen with the DMV Package. Students who choose the DMV Package get more of us than they will get anywhere else. We will schedule all appointments with the DMV, pick students up for the final test, and let them use our vehicle for that test. We love the DMV package because it takes even more stress out of the entire process of learning how to drive. With less stress, students can focus more on what they’ve learned and let more of it stick. Check out our contact us page to get the answers to the questions you may have at (949)-387-4400.